I was buying some groceries at the store the other day when one of my friends asked me what I was making. Then she said it was probably something fancy "per my usual". Which got me thinking that maybe I've been losing my grip on keeping things simple. Which is what I set out to do in the first place. So...this week I am going to be blogging some of my easiest meals! So, to start things off, we have Hawaiian Haystacks! This is a super fast and easy recipe. The chicken and sauce cook up great in a crock pot if you want to go that route. Plus you can choose whatever toppings you want. So everyone can have what they want. And I usually have all these ingredients on hand. You probably do to! So next time you're in a hurry give these a try! Topping Ideas: Pineapple, mandarin oranges, chopped tomato, green bell pepper, shredded coconut, celery, olives, water chestnuts, chow mein noodles, etc. etc. etc. Cook rice. Meanwhile, heat cream of chicken soup and milk in a large saucepan. Add chicken and pepper. Add extra milk to thin sauce if desired. Top rice with chicken mixture. Then top with cheese and other toppings of your choice! See...easy! So after I made those pumpkin donuts a few weeks ago I had half a can of pumpkin leftover that I needed to make into something! So when I saw this recipe on Pinterest that only needed 1 cup pumpkin puree...I was there! You can see the original recipe at http://gourmadeathome.com/pumpkin-muffins. She has some cool pictures of each step! I was hoping they would taste like the pumpkin cream cheese cupcakes at Starbucks (one thing our town does have is a Starbucks!) They weren't quite as sweet as the Starbucks version but they were still really yummy! Although, I usually love anything pumpkin. These mixed up quick and were easy to bake. You just put a dallop of the cream cheese mixture in each of the muffin cups and then the pumpkin muffin bakes up around it! So it looks fancy without a lot of extra work! And I'm all about being fake fancy! Preheat oven to 350 degrees and spray muffin tins with nonstick spray. In a small bowl, mix 1/2 cup whipped cream cheese with 1 TB confectioners sugar. If you are using regular cream cheese...whip it by itself first and then add confectioners sugar. Set aside. In a medium-sized bowl combine the flours, baking soda, baking powder, spices and salt. In another bowl whisk together the pumpkin puree, sugar, oil, buttermilk, egg, egg white, and vanilla. Stir the dry ingredients into the wet ingredients, being careful not to over mix. Bake 25-30 minutes, or until a toothpick inserted into muffins comes out clean. Let cool for 10 minutes. Santa Fe Chicken Bake and a New Trick for Shredding Chicken! A few months ago I went to a demonstration cooking party for Philadelphia brand's new cooking cremes. My friend had us over and made some different dishes with it and they were all really yummy! She also gave us these little cookbooks with ideas for using the cooking creme. I tucked it away and had forgotten about it but then my girls were playing with all my cookbooks the other day and there it was! So I decided to give one of the recipes a try. They have a few different flavors. One is Santa Fe blend for Mexican dishes. Italian cheese and herb or Savory garlic that you can use in Italian dishes. And Original that you can use in casseroles like tuna noodle or things like that. They are $2.99 here, which seems a bit steep for a little container. But when I started considering all the things I would put into a homemade sauce it was probably around $2.99 in most of my recipes! This casserole came out very creamy and flavorful. My kids even ate all the chicken in it...which was awesome! It was kind of like a big creamy chicken enchilada. I also like it because instead of using a whole pack of tortillas like you would for enchiladas, you only use 3 for the whole family! You bake it in a pie plate...so it might seem small to feed the whole family but it is very rich and has a ton of chicken...so for 4 of us we only ate about 1/2 the casserole. Lastly, I learned a new trick from Pinterest that I got to use last night! For shredded chicken I usually just cook it all day in the crock pot and it shreds up nicely. But I forgot to stick it in yesterday and had to cook it on the stove. Anyway, when you cook it that way it is a little harder to shred. So stick it in your kitchen aide after you cook it and use the regular beater attachment. Beat on medium for about 2 minutes and you get perfectly shredded chicken! It worked great and I should have remembered to take a picture. Try it out for yourself and see what I mean! Heat oven to 375 degrees. Combine the first 4 ingredients in a large bowl. Add 3/4 cup of the cooking creme and mix lightly. Spoon 1/3 of the chicken mixture into a 9-in. pie plate. Top with 1 tortilla, half of the remaining chicken mixture and 1/4 cup of the cheese. Cover with 2nd tortilla, the remaining chicken mixture and another 1/4 cup of cheese. Top with remaining tortilla, remaining cooking creme and the last of the cheese. Cover. Bake, covered, for 20 minutes or until heated through. Uncover and bake an additional 5 minutes or until cheese is melted and casserole is golden brown. Here are some of the Halloween ideas I posted last year. I've noticed quite a few people looking for these on my blog. You can get to them by looking under Holiday Fun Foods on the recipe index page or by clicking here! Happy haunting! Halloween Cupcakes That Kids Can Decorate! This post isn't so much a recipe as it is just ideas of cupcakes you and your kids can make together. My oldest had a really bad day at school a few weeks ago so I decided to have an un-birthday party for her. (Something my Dad used to do for us growing up). Anyway, she'd seen some halloween cupcakes in one of my magazines and been wanting to make some like it. So I went to the store and bought a bunch of toppings, baked some cupcakes and had it ready for her when she got home! The girls and I had a great time decorating these and it was really an easy activity to set up for the kids! The first idea is a graveyard cupcake. It's made with chocolate frosting, flaked coconut tinted green, a sour gummy worm, pull apart licorice and a vanilla wafer. To tint the coconut place about 1/2 cup coconut in a plastic bag with 1 or 2 drops of food coloring. Close the bag and shake until coconut is completely dyed. Spider Cupcake! Made with chocolate frosting, green tinted coconut, oreo, mini m&m's, pull apart licorice, and vanilla icing. For the Frankenstein cupcake you'll need green frosting, gummy lifesavers, candy corn, pull apart licorice and chocolate icing. For the cat you can use pink icing, chow mein noodles, pull apart licorice, mini m&m's, candy corn and vanilla m&m's. Pumpkin patch cupcake! For this one I used orange frosting, green coconut, chocolate icing and a green gummy worm cut in half. The ghost was easy! Chocolate and vanilla frosting with mini m&m eyes! Here's my 5 year old's version of the graveyard cupcake. She had a great time trying to recreate the cupcakes that I decorated! My 2 year old on the other hand liked to freestyle decorate! Maybe it's a little late in the year for grilling outside. But truth be told I've made Alex grill stuff out in the snow before! It's a small price to pay for deliciousness! Since the twins were born we don't get to go out to dinner much anymore. So I've been experimenting with making a few of my favorites at home! This is kind of like the Mesquite Grilled Chicken Salad from Chili's. I'm sure there are better copycat recipe's out there...but this turned out very yummy and super quick to throw together. I know that BBQ sauce on a salad might seem strange to some but trust me when I say it is delicious. The seasoning on the chicken and the veggies in this salad make it so flavorful that you really only need a dab of ranch and BBQ sauce. Give it a try! Wash chicken. Brush chicken with olive oil and cover with the chipotle rub (or whatever seasoning you are using). Grill until cooked completely then chop into 1 in. sized pieces. In a large bowl toss cooked chicken, romaine blend, jalapeno, tomatoes, corn, beans and cheddar. Top with BBQ sauce, Ranch Dressing, and tortilla strips if desired. So I already had these on my menu for this week, but then in the last few days there's been stuffed bell peppers all over facebook and pinterest. Apparently they are enjoying their 15 minutes of fame! So allow me to throw this recipe into the ring as well. I've been making them for about 7 years now so I don't even measure out the ingredients too much anymore. It is really one of those recipes where you can change around the measurements to taste. Maybe you like it with more rice, or sauce, or meat. Go ahead! Also, the recipe below makes more filling than can fit in the bell peppers. We usually cut the peppers open after we bake them and put the extra filling on top. If you don't want extra then you could probably 1/2 the filling recipe and still have enough to fill the peppers. Or you can always add more peppers to fill. I also usually top them with extra cheese after they've baked. The kiddos especially like the extra cheese. Veggies are always better with cheese. Anyway, basically what I'm saying is that this recipe is yummy but definitely open to changes. Just play around with it until you find what your family likes! In a large pot boil enough water to fully submerge bell peppers. Cut a 2 in. hole in the top of each pepper. Remove the core and all the seeds from the peppers. Add some salt and the peppers to the water and boil just until tender. Meanwhile, cook ground beef with Worchestershire in another large pot. Cook rice according to package directions. Add rice to cooked beef. Add diced tomatoes and 1 1/2 can of the tomato sauce (reserving the other 1/2 can for topping), dried onion and parsley. Cook together until heated through. Stuff each pepper to the top with rice and beef mixture. Top each pepper with a dallop of reserved tomato sauce. Then top with cheese and sliced almonds. Bake at 350 for 15-20 minutes or until heated through and cheese is completely melted. To eat...cut in half and top with extra filling and cheese if desired. Don't let the name deceive you. The word apple might make you think "healthy" but these might as well be called candy nachos! However, that being said...who wouldn't love candy nachos! Usually my older girls and I dip apples. They are super yummy but the recipe is a bit time sensitive (you have to keep it all hot and creamy and orderly...etc) I didn't think that holding the twins and boiling a pot of caramel was really the best idea this year. But if you don't have 4 month old twins and you want to give it a shot click here to get my caramel chocolate apples recipe. So, just because I couldn't dip my apples this year didn't mean I wanted to be excluded from all the caramel apple goodness of fall. I had seen some pictures of these in the past and so I decided to just kind of make up my own recipe for it. Not only did the girls love eating them but they were also much easier for the girls to help with than making an actual dipped apple. I included ways to have your kids help in the directions. I also thought it was going to be less messy. And while it was a lot easier for them to eat, everything is messy when you are 2 and 5...so have your wet paper napkins ready! Yum! While you are slicing the apples have your kids unwrap the caramels and place them in a microwave safe bowl. Microwave the caramels with the hot water until melted (about 1 minute 30 seconds). Meanwhile melt the marshmallows and butter in a small saucepan until smooth. While you are busy melting everything have your kids arrange the apple slices on a large baking sheet. Drizzle the apples with melted caramels and marshmallows. Have your kids top the apples with chopped nuts, chocolate, coconut and/or sprinkles. Serve immediately! Sometimes since the twins were born, it seems like I have a daily fight with myself about whether or not I should have a donut. The fact that I rarely get a shower usually prevents me from going and getting one. So, today as I sat here feeding two babies and craving a donut, I got this idea that I could make myself a donut! Then I thought why in the world would someone with such horrible self control learn to make donuts. This can't possibly end well. But then I remembered I owed it to my blog readers to come up with new delicious recipes. And if I have to sacrifice and eat a donut or two then that is what I'll have to do. So you're welcome. All 5 of you! I found this recipe on foodnetwork.com. It's from the Neely's who are a husband and wife cooking team that have their own television show. I saw them on another talk show once and they were hilarious. These actually proved to be quite delicious. Fried dough tends to do that. They aren't, however, your typical light and fluffy donuts. They are pretty dense, much like an old fashioned glazed would be. For all of this small town's faults...we actually have a pretty delicious donut shop down the road from us. My family's favorites are the old fashioned applesauce donuts. These are very similar to that. In fact, if you substituted applesauce for the pumpkin puree and ditched the maple extract in the glaze...I'm pretty sure you'd end up with an awesome applesauce donut. These were really easy to make but a little time consuming to fry them all up and dip them all in the glaze. Probably a weekend recipe in my opinion. Enjoy! Preheat oil in a large Dutch oven to 375 degrees. Whisk dry ingredients in a large bowl. In another large bowl, whisk eggs, yolk, buttermilk, pumpkin, melted butter and almond extract until smooth. Add the wet ingredients to the dry and mix thoroughly with a wooden spoon. The dough will be sticky. Dust countertop and fingers with flour. Using your hands pat out dough to 1/2 in. thickness. Using a 3 in. cutter, cut out donuts. Use a 3/4 in. cutter for the donut holes. Gather scraps and re-roll. Continue cutting out donuts until all dough is used. Fry donuts, in hot oil, until golden brown and crisp, about 1 min. per side. (as you repeat the process it seems to take less and less time to cook them through) Drain on wire rack over cookie sheet to cool. Once cool dip tops in maple glaze. Makes about 24 donuts. I love this recipe! I haven't seen my 2 year old eat so well ever. She has been asking all week if I will make it for dinner again. I thought it was delicious too but my favorite part was how easy it was to make and that it was made entirely from ingredients I usually have at home! I've had recipes similar to this hundreds of times at church potlucks. You know you have too! Every time I do, I think I'm going to try and make it but I never follow through. So when I found this recipe in...you guessed it...Taste of Home, I decided it was time to give it a try! I'd baked things in a dutch oven before and I knew people baked in their slow cookers but I was worried it wasn't going to turn out. Now that I see something will actually bake in a crock-pot it opens up a whole new world of possibilities! I really tried to be good this time and follow the recipe. But, when I put the batter on top it didn't look like very much cornbread and didn't even totally cover the meat mixture. So I decided to double it. It baked into a lot of cornbread. I was expecting it to bake upward but it kind of bakes down into the beans and meat. I also added some buttermilk since someone had told me that made cornbread extra fluffy! It really did! The last thing I changed was instead of buying a can of enchilada sauce, I made my own. I noted the recipe for that below as well. So I guess that's not too many changes...but maybe I should keep working on following directions. I would say this recipe is the perfect amount for 4 people if 2 of those people are kids! :) Both of the girls did have seconds though! We had company for dinner and next time I would probably double the whole recipe to serve 6 people. One last note is that it didn't take nearly as long as predicted to cook. Since you cook the meat beforehand, you are really just letting everything heat up which doesn't take 6-8 hours like they said. If you want to make it in the morning and leave it in there that long you can but if you want to do it in a shorter amount of time you could really cook the meat mixture on high for 1 hour and be good! The baking part at the end does take an hour on low! But, even doubling the cornbread it only took about 1 hour and 15 minutes to bake on low. So it's kind of nice that you can adjust the cook time to whatever you want! In a large skillet, combine ground beef, salt, pepper, ground cumin, and chili powder. Cook until beef is no longer pink, drain. Transfer to a slow-cooker (at least 4 qt.) Stir in the beans, tomatoes, corn, enchilada sauce, green onions, and cilantro. Cover and cook on low for 6-8 hours (remember it really only takes about 2 hours on low to be heated and 1 hour on high). In a medium bowl, combine muffin mix, eggs, and buttermilk. Spoon over meat mixture. Cover and cook 1 hour longer on low. Cornbread topping is ready when toothpick inserted near center comes out clean. Sprinkle with cheese; cover and let stand for 5 minutes. Serve with sour cream and additional cilantro if desired. In a medium frying pan cook ground beef with salt and pepper. In a gallon sized freezer bag combine cooked ground beef, cumin, chile powder, black beans, rotel, corn, enchilada sauce, green onion, and cilantro. Seal bag and knead slightly to combine ingredients. Pour corn muffin mix in a quart sized freezer bag and seal. Place shredded cheddar in a quart sized freezer bag and seal. Place ground beef filling bag, corn muffin mix bag, and cheese bag all in another gallon sized freezer bag. Label and freeze. Place contents of ground beef filling bag in a large crock pot. Place cheese and corn muffin mix bags out on counter so they can defrost while the meat mixture heats up in the crock pot. Cook meat on low for 6 hours or high for 3 hours or until filling is heated through. Stir well. In a medium bowl, combine muffin mix, eggs and milk or buttermilk. Spoon mixture into crock pot over meat. Cover and cook 1 hour longer on low. Cornbread topping is ready when toothpick inserted near center comes out clean. I've said it before and I'll say it again! I hate recipes that require me to use half the dishes in my kitchen. This is a great pasta dish because it all cooks in the same pan. I love squash and this recipe is loaded with it. They cook up nice and tender and my kids love the squash as much as the noodles! This is another Taste of Home find but I've changed around some of the quantities and directions a bit. I really like that you don't add any garlic or strong spices so you can really taste the fresh veggies. It's a great pasta for summer or winter! It makes a good sized pot of pasta and since it's got veggies, meat and pasta all in the same recipe I often serve it by itself. Quick and easy. In a large skillet, cook beef with salt and pepper until done. Drain. Stir in pasta, tomatoes, beef broth, tomato sauce, and Worcestershire sauce. Bring to a boil and reduce heat. Simmer, covered, for 10-12 minutes. Add squash and green pepper. Recover and cook 4-5 minutes, stirring occasionally. Be careful not to overcook the squash or it will get soggy. Just cook until pasta and veggies are tender. Add 1/2 cup cheese and cook an additional 2 minutes or until cheese is melted. Serve and top with remaining cheese. I found this recipe a few years ago and tucked it away to try sometime. And then I never did. So when I came across it this year I decided it was time to try give it a shot. It was incredibly easy! Make sure to note that it does take 4 hours to let it freeze. So it does take longer, start to finish, than traditional pumpkin pie but it takes up much less of your time. No pie crust to make, no changing oven temperatures and checking it over and over again for jiggly-ness. Plus you can make it up to 2 weeks ahead! While nothing can replace pumpkin pie over the holidays (especially since that is my husband's favorite) this recipe is a nice twist! It's basically pumpkin ice cream and what's not to love about that! Let ice cream stand at room temperature 30-40 minutes to soften. Meanwhile, in small bowl, mix cracker crumbs and butter. Reserve 2 to 3 tablespoons of mixture. In ungreased 8 or 9 inch square pan, press remaining crumb mixture firmly and evenly over bottom. In large bowl, beat remaining ingredients with wire whisk until well blended. Stir in ice cream with spoon. Spread over crumb mixture in pan. Sprinkle with reserved crumb mixture over top. Freeze uncovered at least 4 hours or until top is firm. You can serve it at this point or cover and return to freezer for up to 2 weeks! Let stand at room temperature 15 minutes before cutting. Our first recipe is chicken tortilla soup. This is one of my favorite soups, yet I'd never made it myself. (Maybe that's why I liked it so much. Who knows!) Anyway, I like soups that basically require me to open things and stir. I suppose sometimes I can chop things too if I need to. This recipe was really written to cook quickly on the stove. I decided to do it in a crock pot and it came out great that way too. I've included both sets of instructions so you can choose which way you'd like to cook it. Also I thought it'd be good with some crispy tortilla strips and sour cream. And I was right! :-) So I included those on the list of ingredients as well. Truth be told I was cooking chicken in my crock pot for Chicken Satay wraps. But today was freezing and I felt like soup. Luckily I had this on my menu for later this week. True story! But the reason I am telling you this incredibly boring story about my day to day life is to point out how incredibly quick it was to make. I walked in the kitchen decided I wanted to eat soup, mixed the soup together, and was back out in the living room before my kids even realized I had been making dinner. So the making dinner time melt-down was completely avoided! May this recipe keep peace in your kitchen too! Cook and shred chicken. In a large saucepan, heat the soups, milk and broth, stirring frequently. Add corn, chicken and chilies; bring to a boil. Stir in the tortilla strips. Reduce heat; simmer, uncovered, for 5 minutes. Stir in the cheese until melted. Top with additional cheese, sour cream and crunchy tortilla strips. Cook chicken on high 3-4 hours or on low for 5-6. When chicken is completely cooked, shred it and add all other ingredients. Let cook for 2 more hours on high or until soup is heated through and flour tortilla strips are soft like noodles. Top with additional cheese, sour cream and crunchy tortilla strips. I walked outside with my daughter this morning for school, and it was freezing cold outside! I feel like fall got here overnight...and I couldn't be more excited! Fall is the greatest season. I love the weather, the holidays, the activities, and of course the FOOD! Pumpkin, soup, more pumpkin stuff, apples, etc! Miraculously, when I came in from taking my daughter to school both twins were sleeping! So I decided it was a sign that I was supposed to bake something. But what? I was unprepared for this turn of events! I quickly looked through a Fall baking cookbook and found something that I had all the ingredients for. So ginger-carrot-nut bread it was! My two year old had a great time helping! She was particularly pleased with how "awesome" the carrots looked going through the food processor. (Maybe I need to use the food processor more...it is fun for the whole family!) I was imagining the batter being like banana bread but it was much thicker. The brown sugar made it almost like using molasses. The bread itself came out very dense and delicious. I also subbed in some whole wheat flour so that might have added to the denseness too! So in conclusion, happy fall and enjoy the beginning of baking season! Heat oven to 350 degrees. Grease bottom of 8x4 in. bread pan with shortening and lightly flour. (or use a baking spray with flour). In large bowl or electric mixer, beat eggs and brown sugar on medium speed until creamy. Beat in oil, milk and vanilla. On low speed, beat in flour, baking powder, ginger and salt until smooth. Stir in carrots and nuts. Spread evenly in pan. Bake 50-60 minutes or until toothpick inserted in center comes out clean. (I baked 2 loaves together and it took about 60 minutes even with two of them) Cool in pan 10 minutes. Loosen sides of loaf from pan; remove from pan to cooling rack. Cool completely, about 2 hours. If you are a fan of ham and Swiss give this casserole a try! We've had it for breakfast, lunch or dinner! I even made it in bulk for a girls' camp that I helped cook at. It is great for company but also easy enough to make anytime. I love quiche but my husband doesn't as much. I can usually talk him into one if I throw in some green chile but he also goes for this hash brown quiche! It's a quicker version of a quiche because instead of making a pie crust you line the pan with hash brown patties. Breakfast foods taste great but sometimes it seems that I end up using every pan I own for one meal! This makes a great breakfast because you get all the good stuff (hashbrowns, eggs, and ham) all in one dish! This is very filling too so you can get quite a few servings out of one 9x13 pan. I usually serve it with some fruit or muffins. Place hash brown potato patties in greased 9x13 pan. Pour melted butter evenly over the potatoes. Bake at 350 degrees for 20 minutes. Remove from oven. Sprinkle potatoes with ham and cheeses. In a large bowl beat eggs. Add milk or cream and salt. Stir. Pour mixture over cheeses and ham. Bake at 350 for about 40 minutes or until eggs are set. It seems lately that I've had several people ask my about my opinion of Amazon Prime! I love it for many reasons and decided that I would write my love letter to Amazon right here on my blog for the world (or at least all eight of you) to see! Before I begin said love letter ... allow me to set the stage. I live in a small town and there is no shopping. When I say no shopping I mean there is a Smith's and a local department store. Now, I'm not talking one of those fancy Smith's Marketplaces. I'm talking a smaller and older than usual Smith's grocery store with about half of the retail space dedicated to alcoholic beverages and gourmet cheese. Let's not forget the incredibly rude employees and the seemingly never-ending parade of giant stocking crates that line every aisle ... no matter when you go! You can see why this would deter me from taking my four children there to do some leisurely shopping. But you say, Julia, didn't you say there was also a department store? Why, yes I did. Unfortunately it is about 2 to 3 times more expensive than buying things anywhere else! They are not open after dinner. And their selection is limited. So where can a girl turn for buying diapers, cleaning supplies, craft supplies, party favors, gifts, books, etc. etc. etc. Why the interweb! No rude employees, no stocking crates, and certainly no gourmet cheese displays for my 2 year old to knock over! We started subscribing to Amazon Prime about four years ago. My husband had been getting our diapers in the next town over about 40 min. away on his way home from his masters classes. But once he was done with that class we had to find a new way to buy the boxes of diaper that our ever growing family required! Since then it has become the main way we buy almost everything! 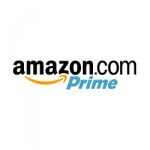 1) You get free 2 day shipping on all Prime-eligible items. There are a lot of eligible items! I was worried at first that I wouldn't be able to get what I need but we've had everything from a new bike to a shower chair to soup delivered by Prime. 2) There isn't a minimum limit to get the free shipping. If you just need a set of flashcards for 2 bucks...it's still free shipping! This comes in handy because I am constantly thinking of things I need and instead of making a giant list and waiting for it to add up to the right amount I can just order it and have it here in 2 days. 3) You can have things delivered anywhere. We've used this feature for a lot of different reasons. We've ordered things for other people. My grandparents live in the middle of nowhere and so I have different food items sent right to their house. It saves them money and they don't have drive into town to get them. We buy a lot of our Christmas/birthday presents on there as well and can have them sent right to the people they are for. We've also used it on vacation/evacuation situations where we've forgotten something we need! I've also used it for book group a few times to order several people copies of the same book and have it sent to them! 4) It saves us money. A lot of items don't have tax, depending on what state you live in of course. But this has saved us some money too, especially on things we get every few weeks (like baby supplies). Often they are priced about the same as they would be in a store but ... you can get bigger boxes of things, with no tax, and it's delivered to your door! A lot of items are cheaper than in the store too. It just depends what you want. And of course it saves us gas money because our closest Wal-mart is half an hour away! 5) It saves us money another way! Any Amazon member can subscribe to the items you buy most. This is great for things like diapers, toilet paper, cleaning supplies, etc. You sign up for the item and tell them how often you would like them delivered. Not only does this mean one less thing to remember but it also saves you 15% on items! And by joining Amazon Mom you can save an extra 15% on baby items (and a three month trial of Prime, too)! 6) Videos! You can stream videos for no additional cost. We have netflix, so I can't say we've used it that much, but it is another perk. You can stream them to your computer, some televisions, and your Roku box. 7) You can get exactly what you want! You can browse for things and save them in wishlists. You can do this without Prime but I'm including it in my list because it is something I do all the time. It helps because my husband can make lists and then I know exactly what little piece of technology he needs to go with all of his other gadgets! I also make lists of things for the girls and then Amazon emails me when those things go on sale! I often order things for Christmas on sale and store them away. Also, sometimes I will get online with an idea of what I want and my search results will bring back several items with reviews of each. This way I can study out what I really want after the kids are asleep instead of trying to read about irons in the store with all of them yelling! And speaking of yelling kids...there are a couple of hungry twins calling! So in conclusion, Amazon Prime, in my opinion, is definitely worth the price! It's great for people who live in towns without shopping but it is also great for those of us who are busy or can't easily cart all our children out to the store! Give it a try for a year and I think you will come to the same conclusion! I found this recipe in my Kitchen Aid Cookbook and thought I'd give it a whirl! It was a little more involved than a lot of the recipes I make...in fact when I saw the long list of ingredients I almost gave up before I started. But on closer inspection I realized that most of them are basic baking ingredients and I really only had to buy 4 ingredients at the store! I did enjoy making a dessert that didn't require chocolate. I am a bit of a chocolate-aholic so I have been wanting to find some desserts that featured some different flavors! The recipe is kind of like a combination of making banana bread and pineapple upside down cake. You start out by making a caramel sauce and lining the pan with it and the chopped nuts. Then you pour the cake batter over it, bake it, and invert it onto a platter. (That's why it reminded me of the upside down cake). I was a little skeptical about whether or not the cake was going to, in fact, come out of the pan. Quite a bit of the topping did stay in the pan but the cake came out great and had plenty of topping still on it. Also, since you are layering it with fresh bananas and cream you can cover up any mess-ups...and "who's to know"! Another thing is that this recipe calls for 3 layers. But I, and most people, only have 2 of the same size pans. So...I used my springform pan for the 3rd layer. It was kind of a happy accident because it came out of the springform pan much better and made a great top layer! Also, while 3 pans fit in my oven the one closest to the door didn't bake as well...so I had to bake them seperately anyway. So if you have a springform pan I would suggest using that and baking each seperately. I took pictures so you could see the differences! The first is out of a regular 9 in. cake pan. This next picture is what it looked like coming out of the springform pan. Both tasted great but appearance wise the second is much better! But bananas and cream topping can fix all! Anyway, this turned out to be a beautiful cake and it tasted great too. The cake was a lot like banana bread and was a big hit with all the kids who tasted it! The fresh bananas and cream in the middle were delicious too. I think that swapping out the cream for banana pudding would be a time saving option as well! Anyway, I am just rambling on and on about this cake but lets get to the recipe! Like I said before it was from my kitchen aid cookbook so it includes directions for how long to beat things and at what settings! I'm going to leave those in because they were helpful no matter what type of mixer you may have. Place brown sugar, 1/2 cup butter, and cream in a small saucepan. Cook over low heat, stirring constantly, until butter melts. Divide among three 8 or 9 in. round cake pans, turning to evenly coat bottom. Divide walnuts among pans then set pans aside. Place granulated sugar and remaining 1/2 cup butter in mixer bowl. Attach bowl and flat beater to mixer. Turn to speed 2 and mix about 30 seconds. Stop and scrape bowl. Add mashed bananas and vanilla. Continuing on speed 2, mix about 30 more seconds. Continuing on speed 2, add eggs, one at a time, mixing about 15 seconds after each addition. Stop and scrape bowl. Combine flour, baking powder, baking soda, and salt in a medium bowl. Add half of flour mixture to sugar mixture in mixer bowl. Turn to speed 2 and mix about 30 seconds. Add buttermilk and remaining flour mixture. Gradually turn to speed 6 and beat 30 seconds. Spread batter evenly over topping in pans. Bake at 350 degrees for 25-30 minutes, or until toothpick inserted in centers comes out clean. Cool in pans about 3 minutes. Invert onto wire racks and cool completely. While cake is cooling make the banana filling. (Recipe is below). When cake is done cooling and banana filling has been refrigerated 1 hr. you are ready to assemble your cake! Place 1 cake layer, walnut side up, on large plate. Spread with 1/2 of filling. Arrange half of banana slices over banana filling. Top with second layer, walnut side up. Spread with remaining filling and banana slices. Top with final cake layer, walnut side up. Top torte with whipped cream if desired. Store in refrigerator! Combine sugar, flour, and salt in a medium saucepan. Gradually stir in milk. Bring to boil over medium heat, stirring constantly. Stir about 1/4 cup hot mixture into beaten egg in separate bowl. Pour egg mixture into saucepan. Cook until mixture is bubbly, stirring constantly. Remove from heat. Stir in vanilla and butter. Cool slightly. Refrigerate 1 hr. while cake cools.